To Mr. Rogers, having inherent value did not mean one would have an easy journey on the road to success. The documentary Won’t You Be My Neighbor? deservedly made many lists of 10 best movies of 2018. It is a riveting film on the power of love. Years after his death, interest in the work of Fred Rogers grows. Tom Hanks plays Mr. Rogers in the movie A Beautiful Day in the Neighborhood, which is slated for a 2019 release. Yet, the late Fred Rogers and his long-running, half-hour educational children’s show Mister Rogers’ Neighborhood had fierce critics. The absurdity of blaming a television show you watched as a child for your adult decisions to not understand the realities of building a meaningful career seemed to be lost on Ms. Kim. Failing to take responsibility is not something Ms. Kim would have learned from Mr. Rogers. On the Neighborhood, there were field trips to a bakery and other stores. Adults were shown at work, not complaining the world owed them something. Despite his high standards for the show, he asked his production staff to leave some mistakes unedited: “I want children to know it’s hard to learn something new, and that grown-ups make mistakes.” Modeling his own willingness to be a learner, he taught children to develop their talents instead of adopting the false belief that talent was all they needed for success. When the show began to broadcast in the late 1960s, black Americans were still being barred from whites-only swimming pools. Mr. Rogers didn’t merely preach equality, he modeled equality by sharing a wading pool foot bath with a black resident of the Neighborhood, police officer Clemmons. Ms. Kim and Professor Chance are confused. Mr. Rogers taught children that their specialness stems from their “inherent value.” Since inherent value is in all of us, no one at their core is especially different. From that place of inestimable value springs our potential, but not an entitlement. There were no people or groups designated as better than others in Mr. Rogers’ Neighborhood. Does having inherent value undermine our ability to take responsibility, or does it enhance our freedom to live from our highest purpose and values? Mr. Rogers would likely have shared the perspective expressed by F. A. Hayek in his essay “Individualism: True and False”: There is an “unlimited variety of human gifts and skills,” and “everybody [should be] allowed to try and see what he can do.” The idea that all are endowed with an entitlement would have been anathema to Mr. Rogers. Mr. Rogers did not teach arrogant preoccupation with our sense of self; he taught of loving others. 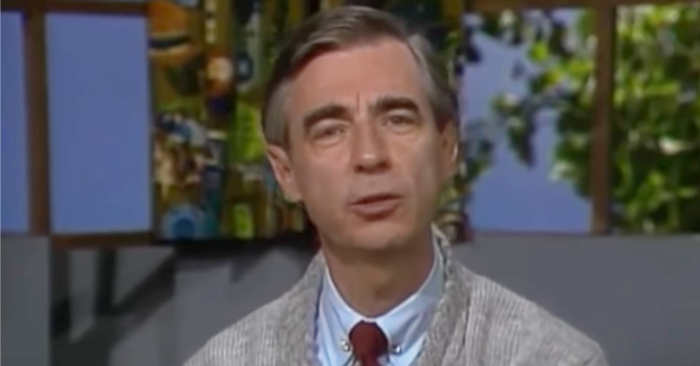 In the documentary, Mr. Rogers says, “Love is at the root of everything. All learning, all parenting, all relationships. Love or the lack of it.” Love in Mr. Rogers’ world was not the special love that so often passes for love—I love you because you meet my needs and complete me. Love in Mr. Rogers’ Neighborhood is nurtured not by a sense of self-importance but by an understanding of the importance of those we love. There were no superficial Band-Aids applied in the Neighborhood. When Lady Aberlin sings to a doubting Daniel Tiger, “You’re not a fake. You’re no mistake. You are my friend,” Daniel’s doubts, like Mr. Rogers’ own doubts, are not easily quieted. Emotional life played out in the Neighborhood may be messy, but there is the constant assurance you are still loved. Not long before his death in 2003, Fred Rogers delivered the 2002 commencement address at Dartmouth University. How often do we remember with gratitude the way life supports us?